Beautiful garden of 240 acres. Alpines, herbaceous borders, fruit field, arboretum, rock garden, rhododendrons, lakes, glasshouses. 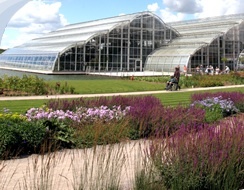 Cafe and restaurant, plant centre and shop.